OCTANE FITNESS ZERO RUNNER ZR7 - Pacific Fitness, Inc. The Octane Fitness ZR7 Zero Runner was created to provide a natural, smooth motion to mimic the form of running without the impact. Extend your running career, run faster, become more efficient and strengthen your muscles by cross-training with zero-impact running. 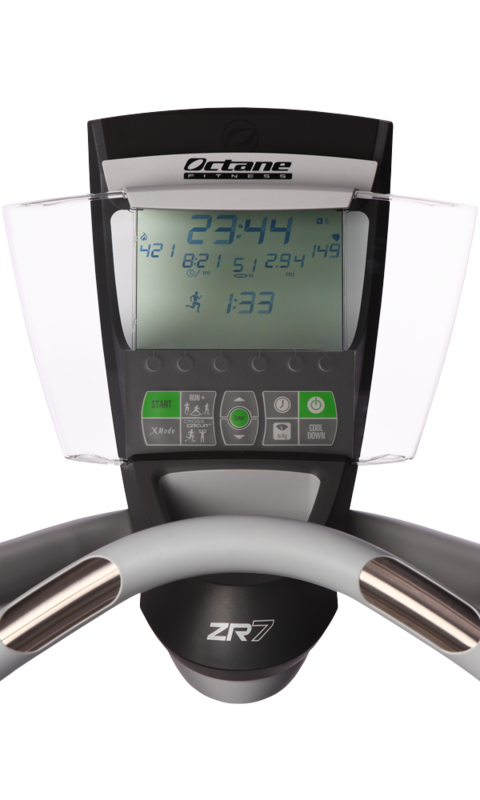 Zero-Impact Running has a larger range of motion compared to a traditional elliptical machine. 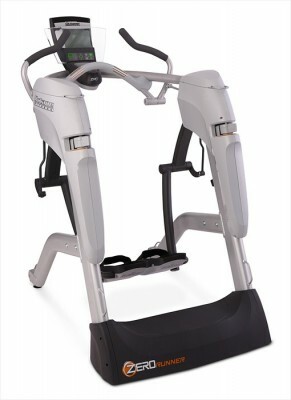 The stride on the Zero Runner matches the runners stride on a treadmill. Extend your running career and stay injury free by incorporating the Zero Runner into your running program. Train Smarter! Use all the muscles you use while running – with zero impact. An intelligent machine that actually traces your gait, the Octane Zero Runner will track the health of your stride while displaying all your favorite stats on the easy-to-read console. And with a practically silent, cordless operation, you’ll be singing its praises in more ways than one. 38" x 63" x 59"
44" x 57" x 18.5"